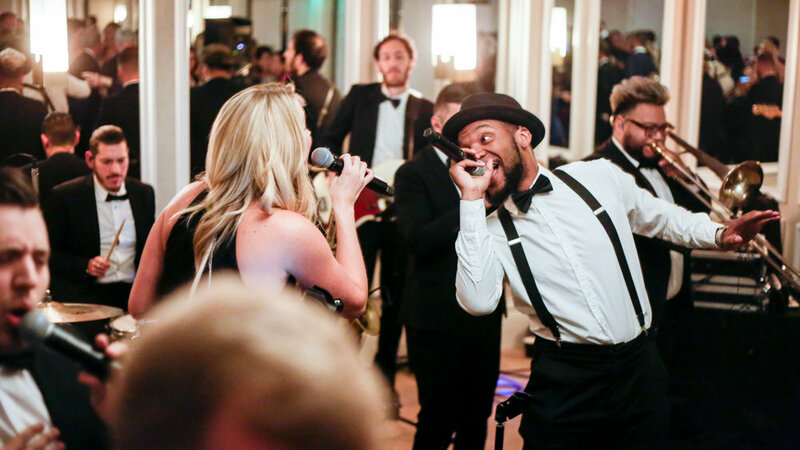 Gold Standard was the entertainment for the evening at this corporate event hosted at the gorgeous Rosewood Miramar Beach in Montecito, planned by our friends at Joy Full Events. 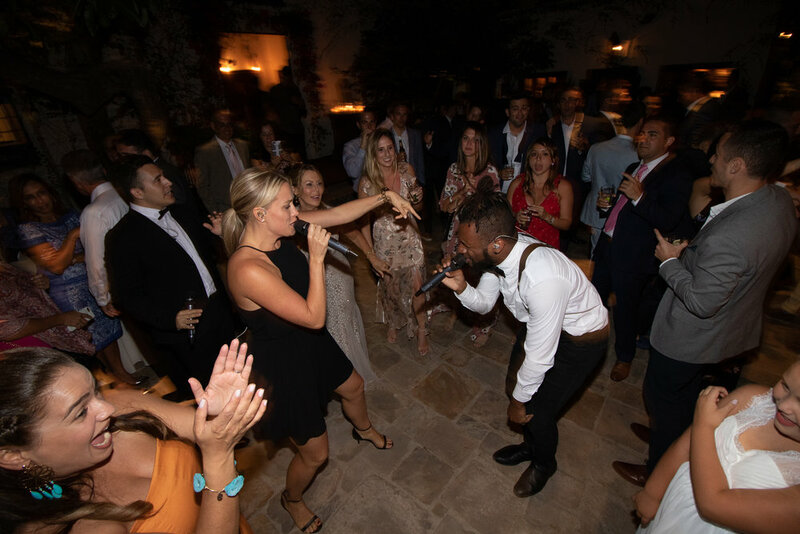 Texas knows how to party! 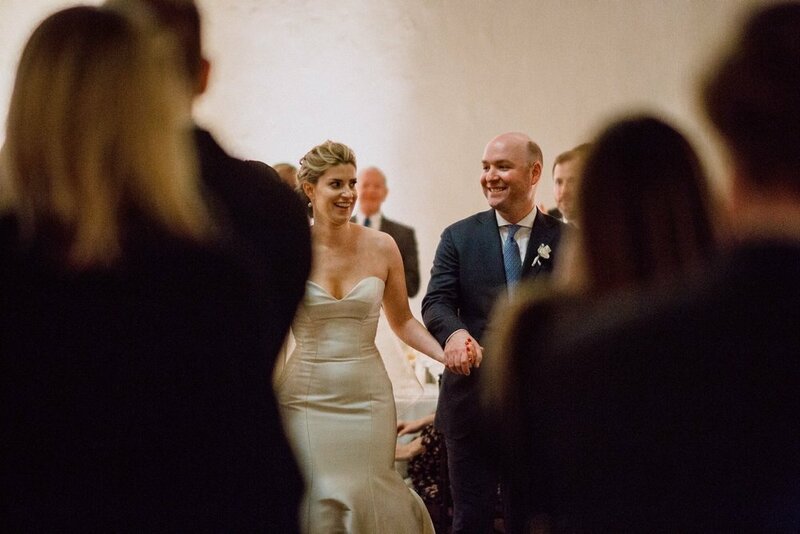 This was a Santa Barbara dream destination wedding for our Dallas couple and all of their guests, and Gold Standard was thrilled to be a part of the big day! 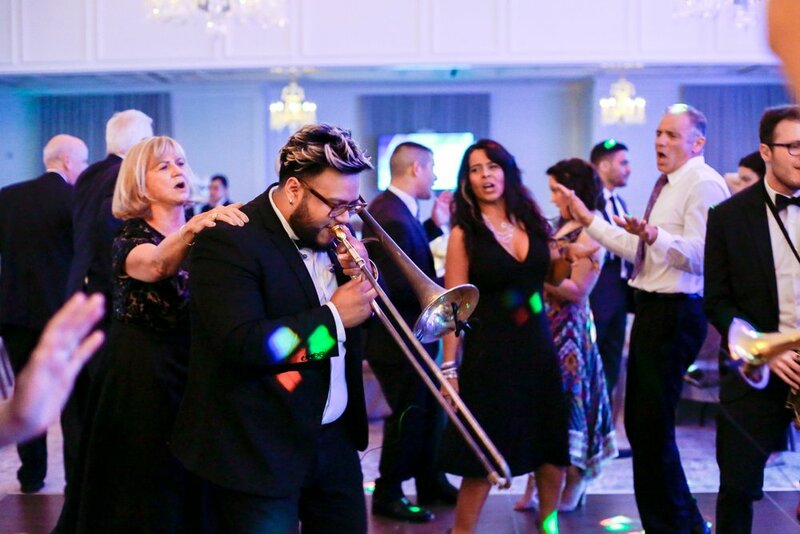 There’s no party like a Gold Standard party! 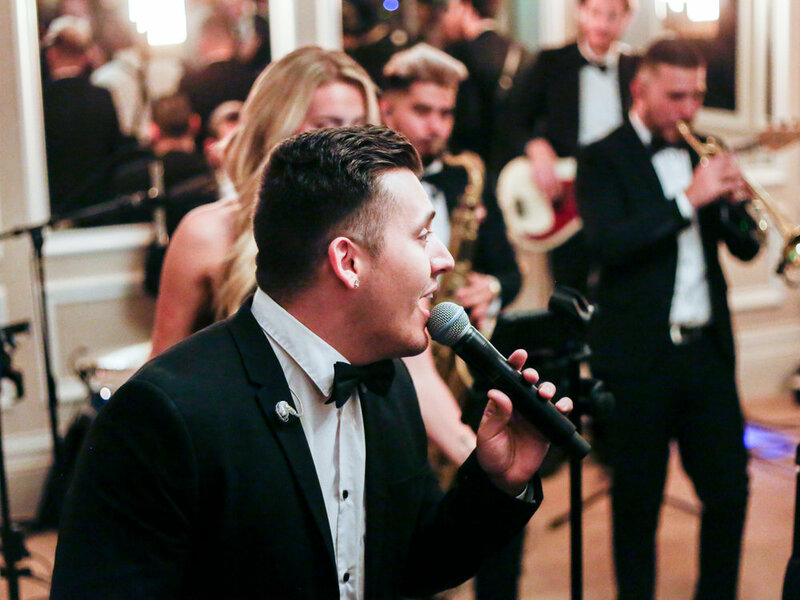 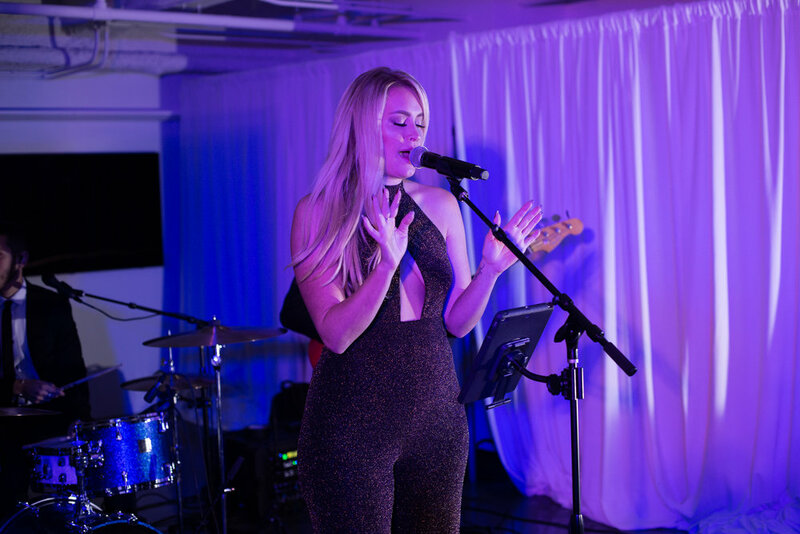 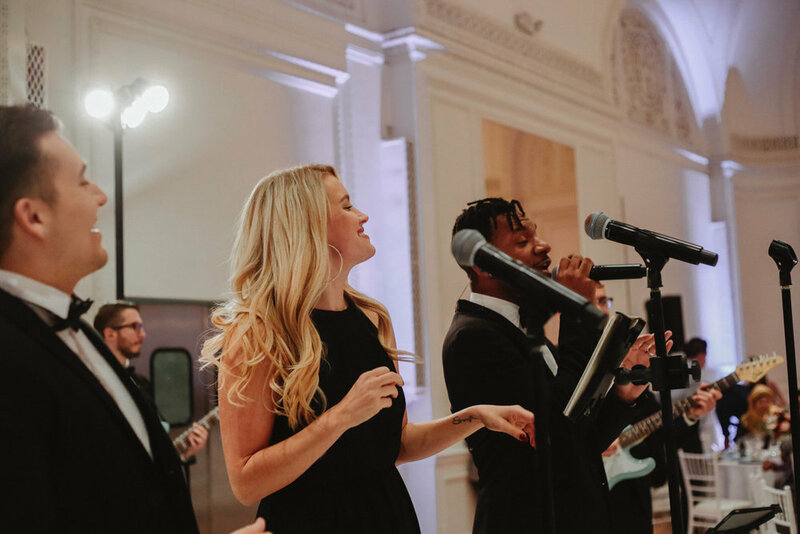 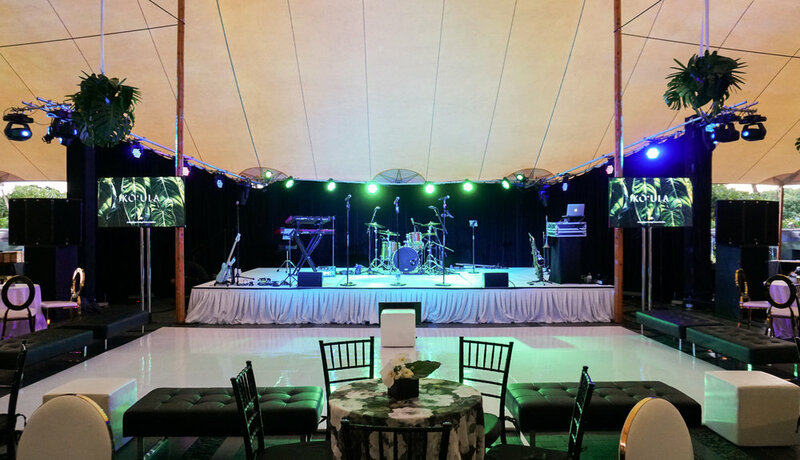 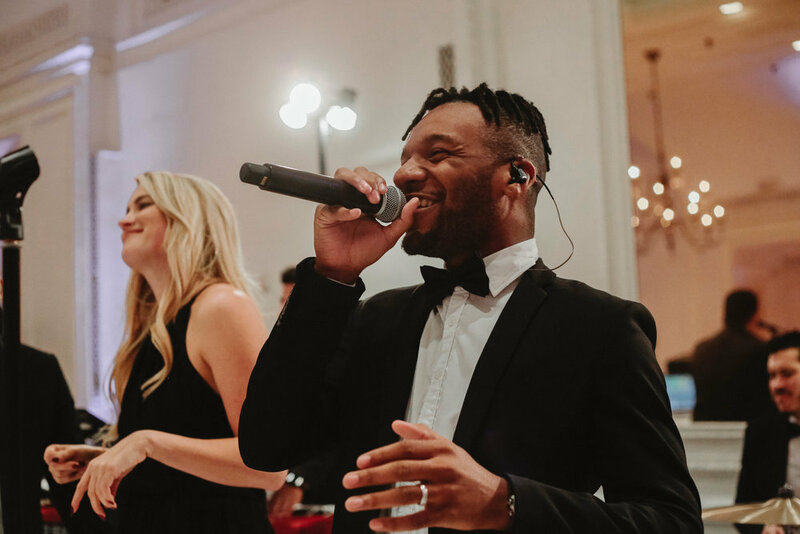 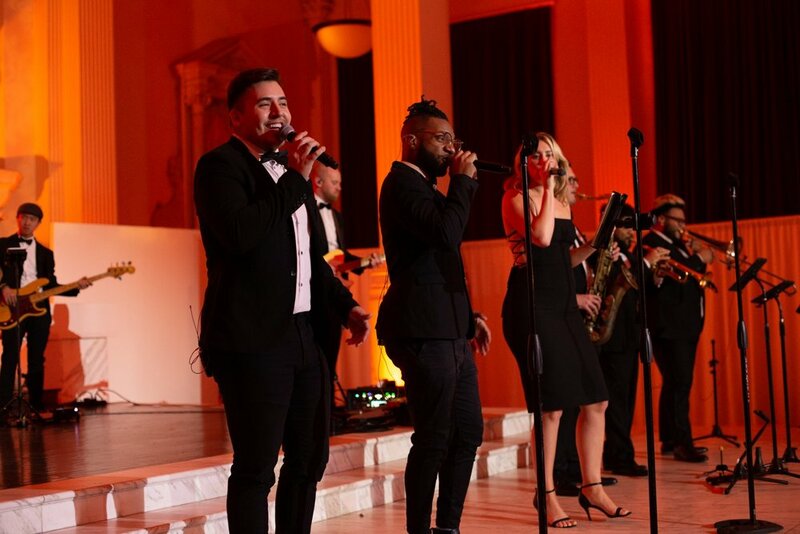 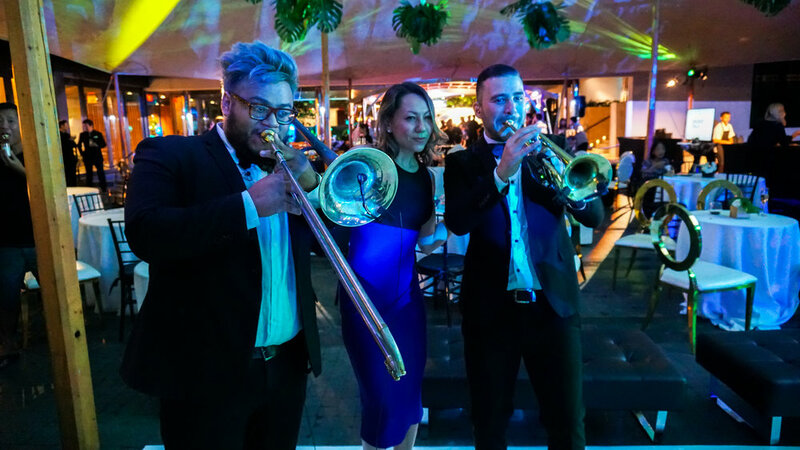 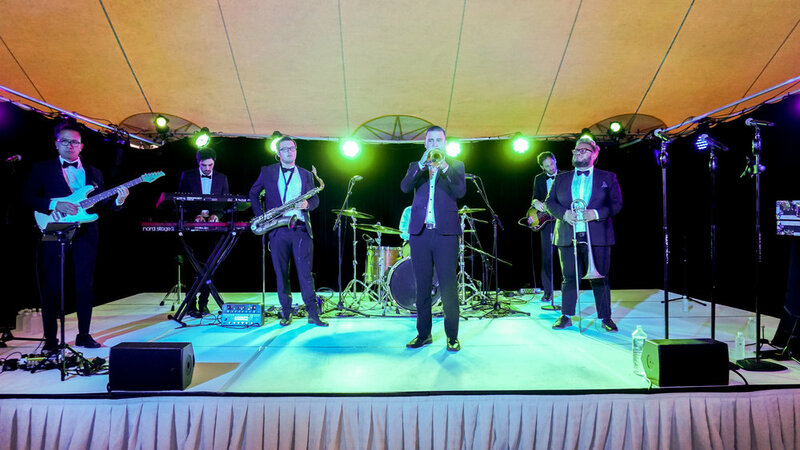 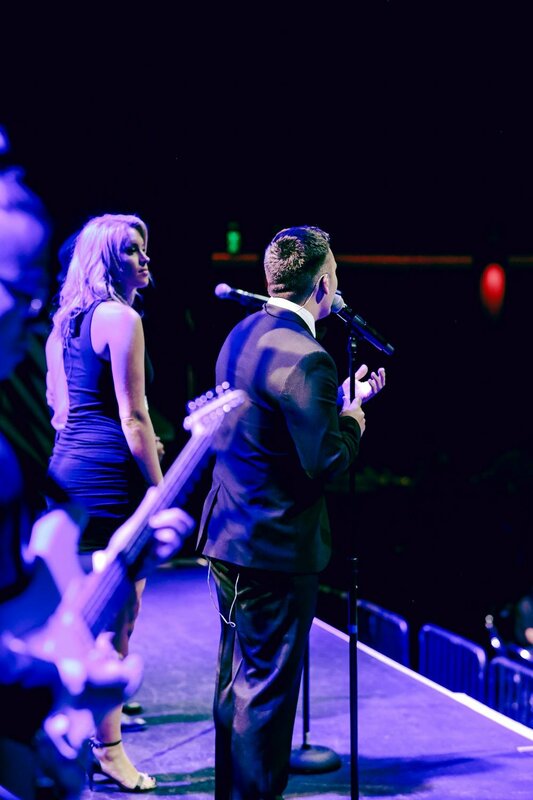 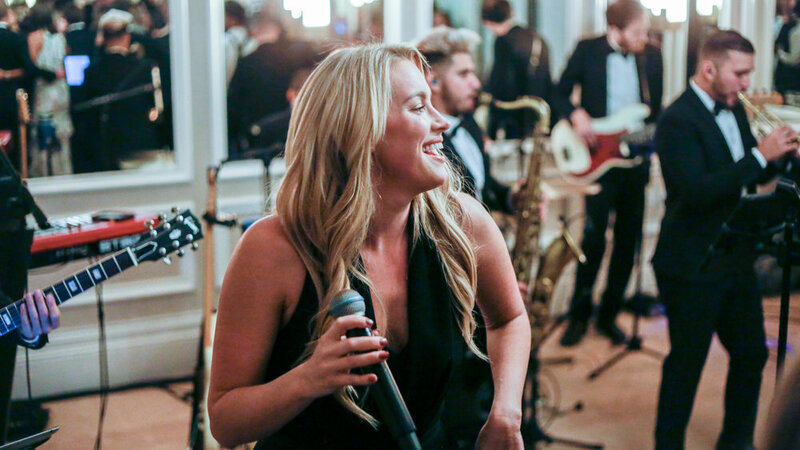 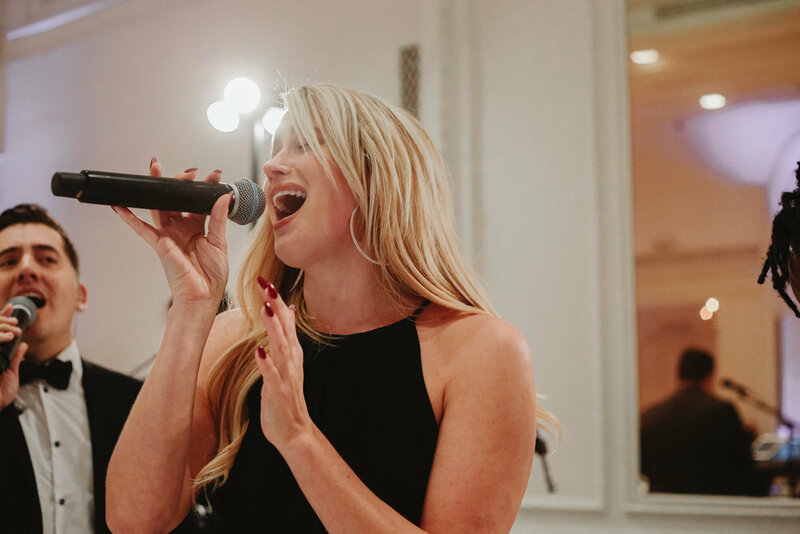 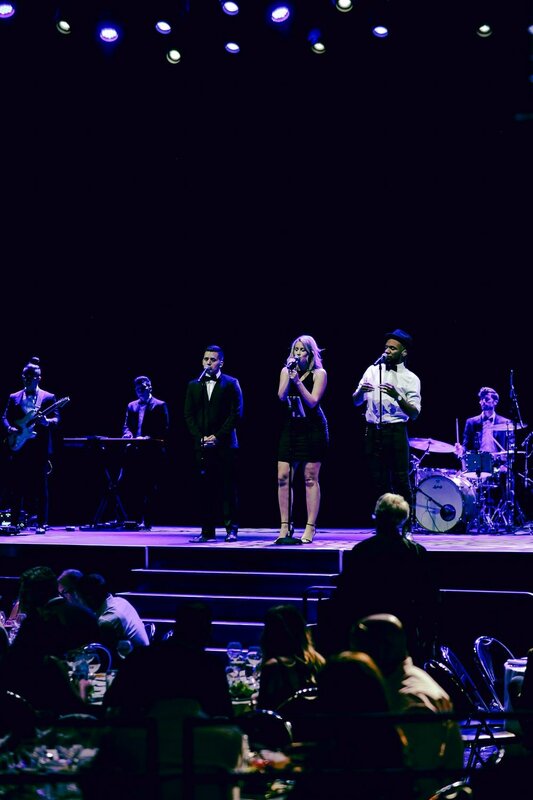 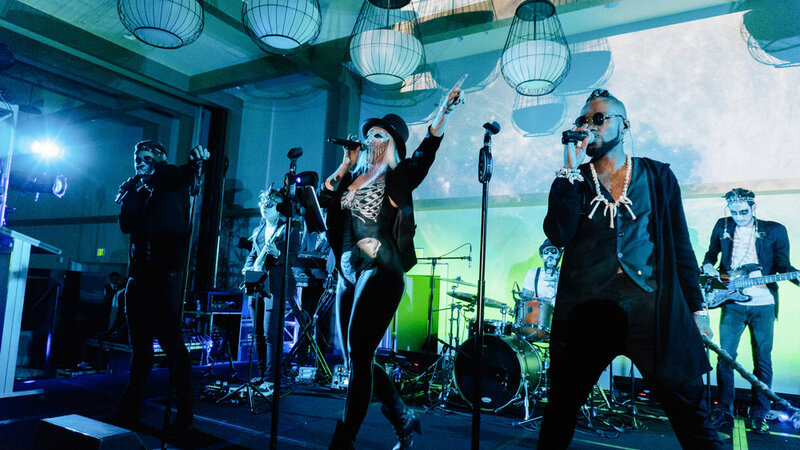 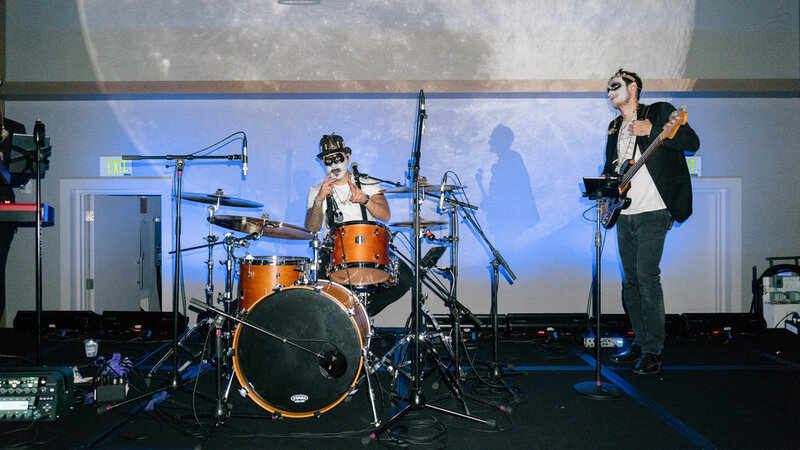 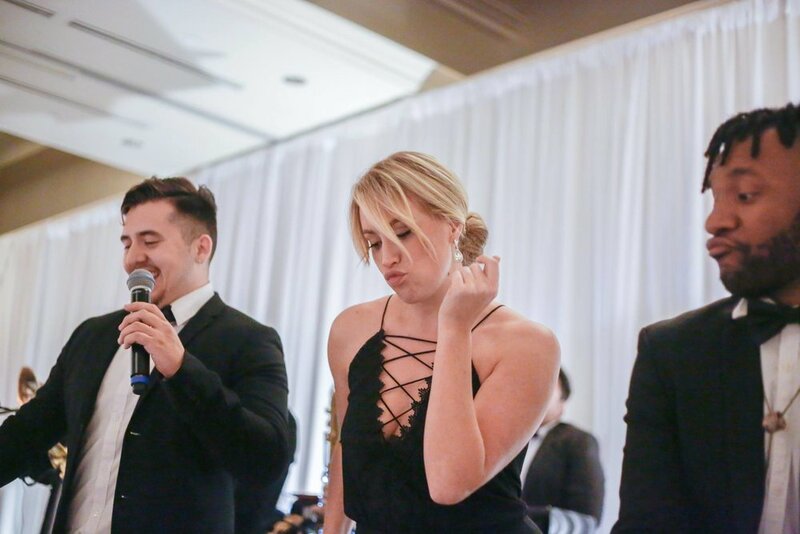 The 10-piece live band took this birthday celebration to the next level, making it a 60th to remember at the ultra swanky Ritz-Carlton, Marina del Rey! 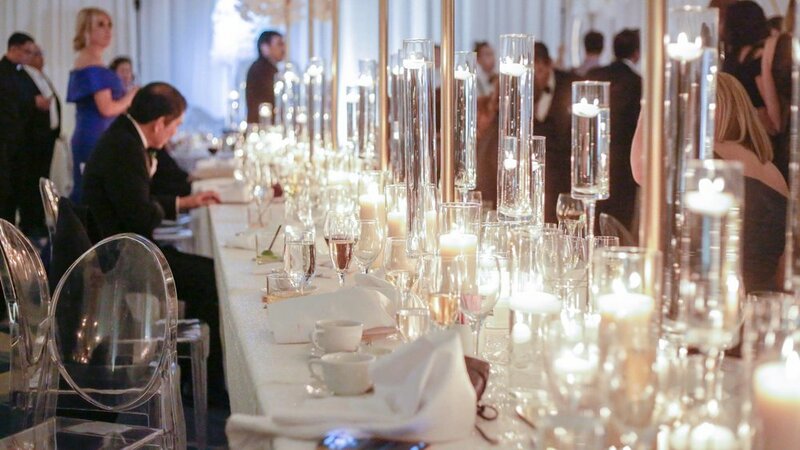 Cake, champagne and dancing…what more could you ask for?! 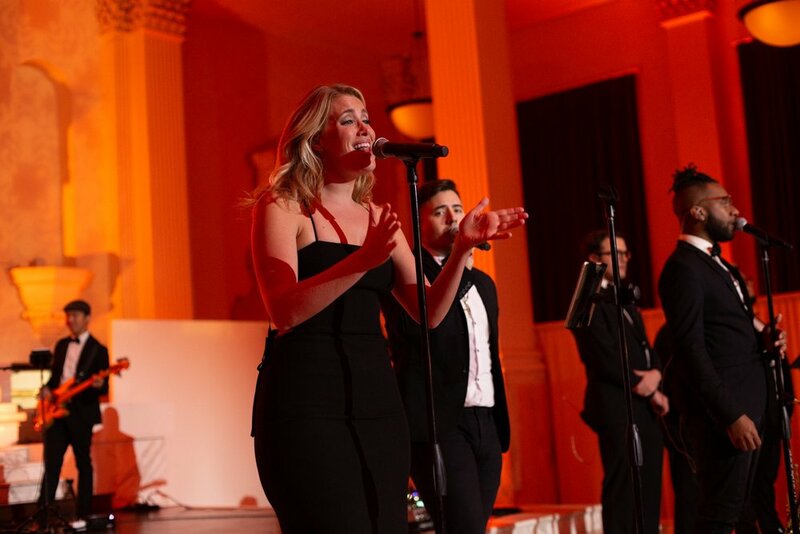 All of Vibiana is a stage when Gold Standard performs! 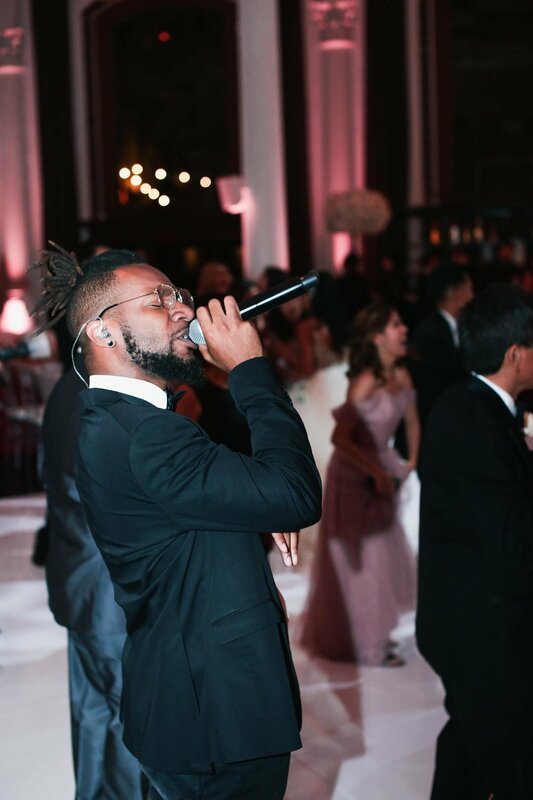 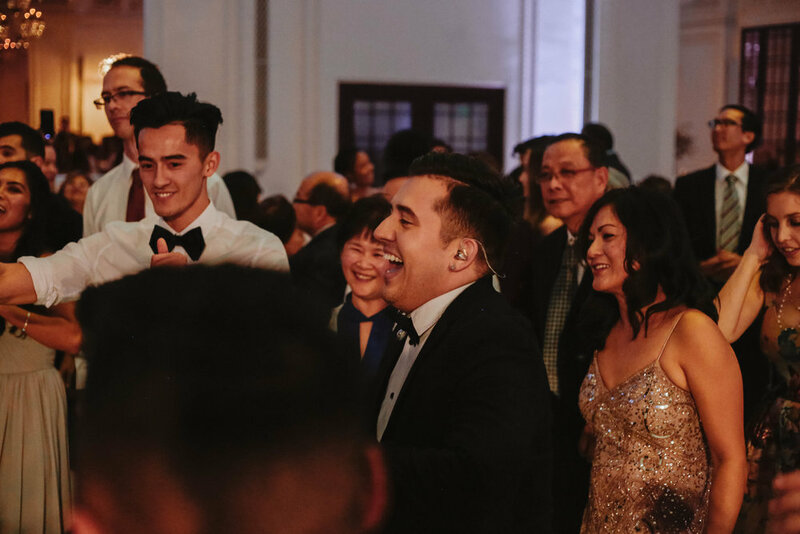 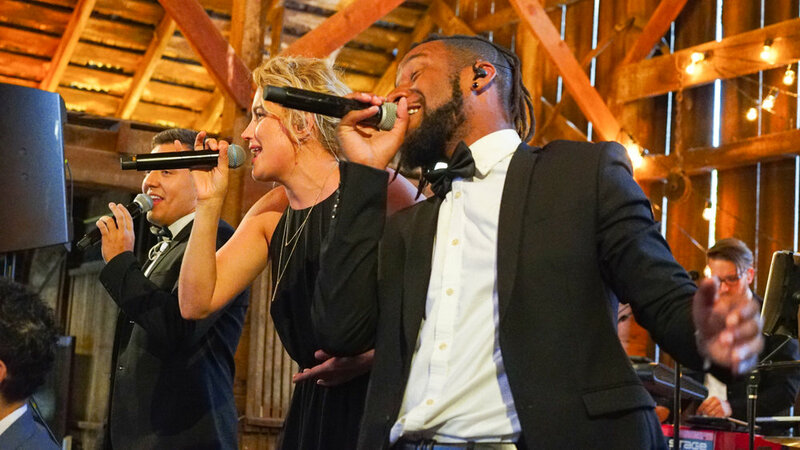 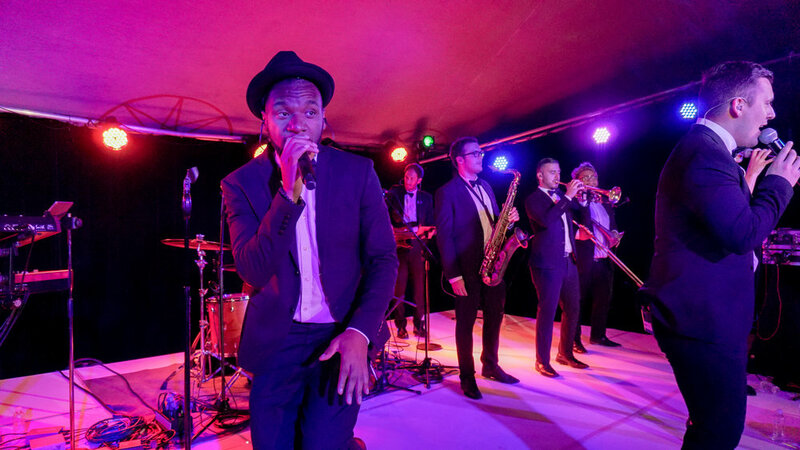 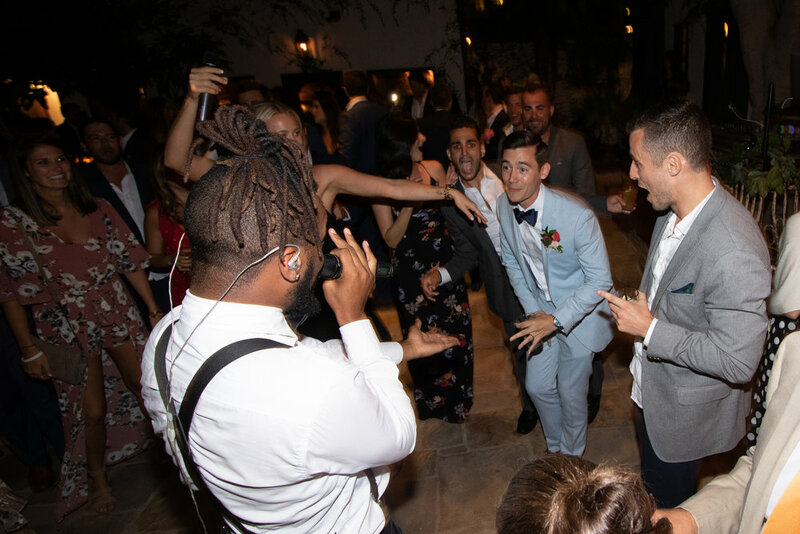 Live horns, dance battles, choreography, stacked harmonies and an incredible DJ made for an unforgettable wedding! 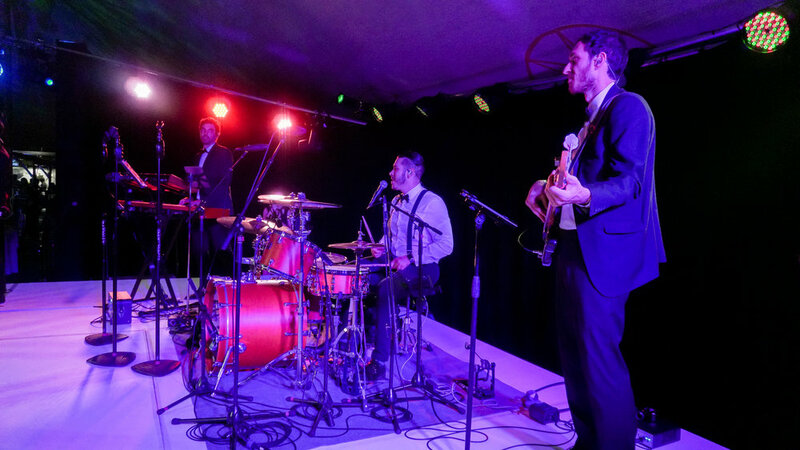 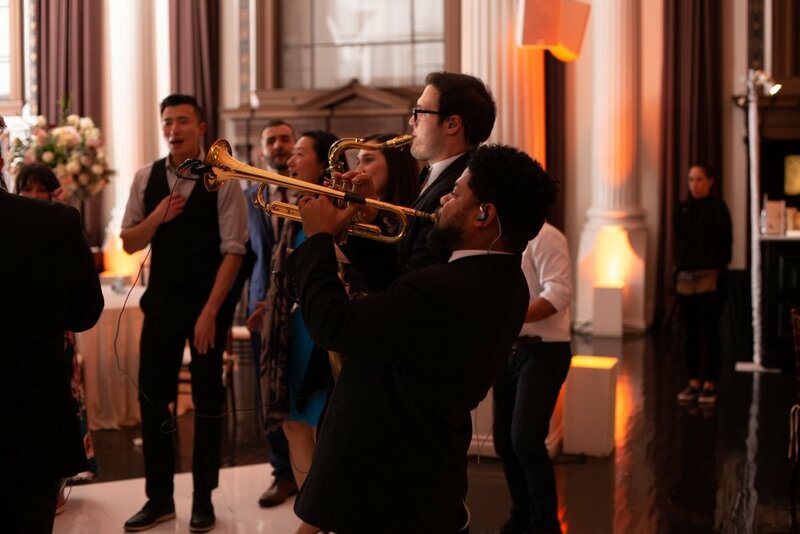 It was a busy holiday season for Downbeat LA, and Gold Standard closed out 2018 by performing at a private event planned by We Crush Events at SKY Studio in Downtown LA. 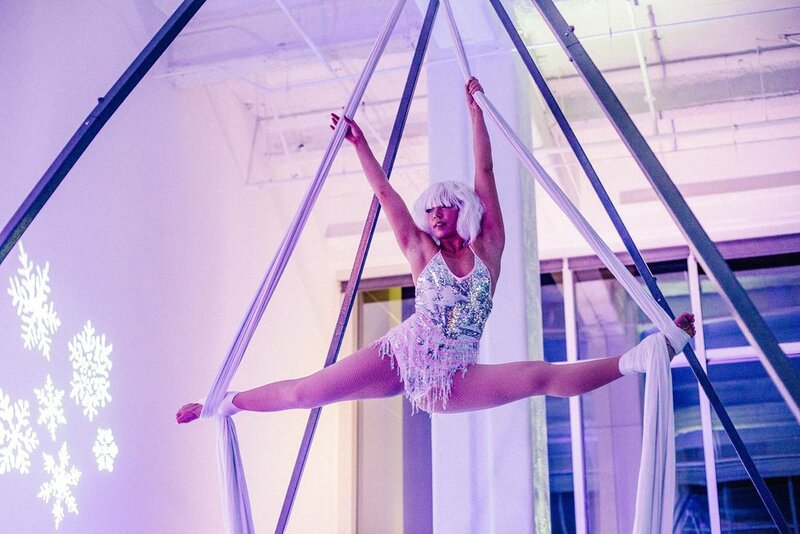 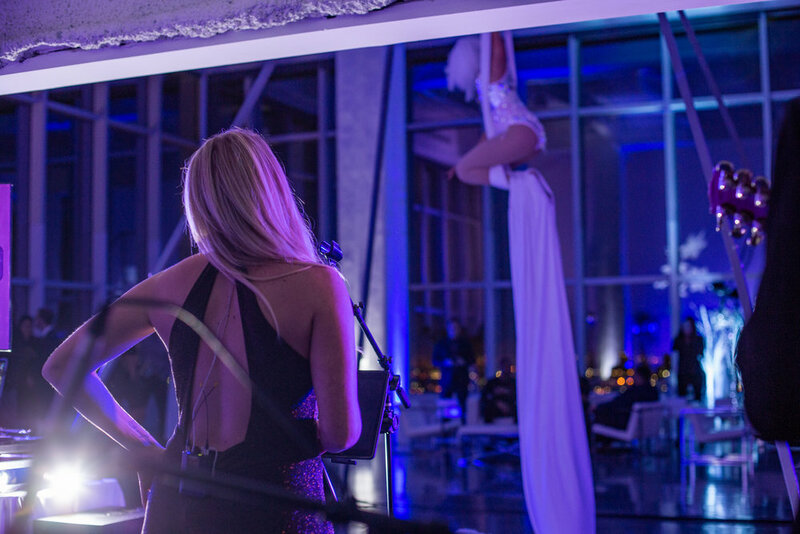 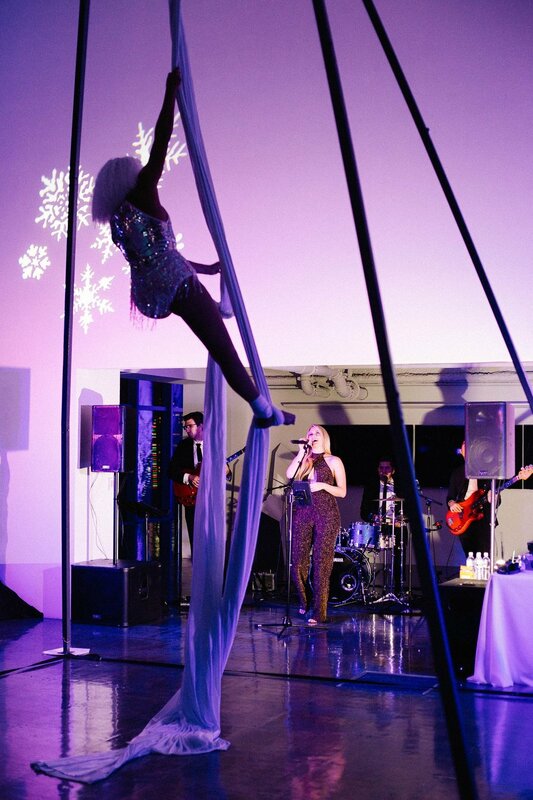 Aerialists soared, specialty cocktails were sipped and the band kept guests singing and dancing all evening in celebration of a successful year! 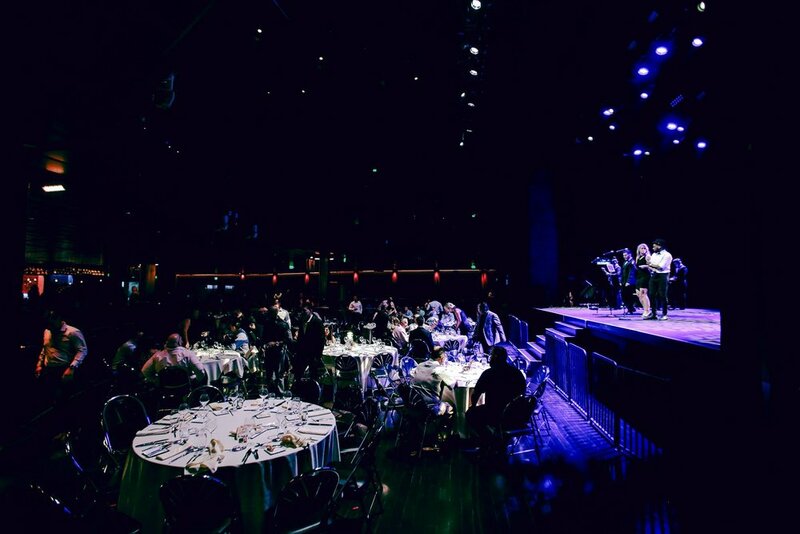 This was a beautiful evening at Alexandria Ballrooms in the heart of Downtown Los Angeles. 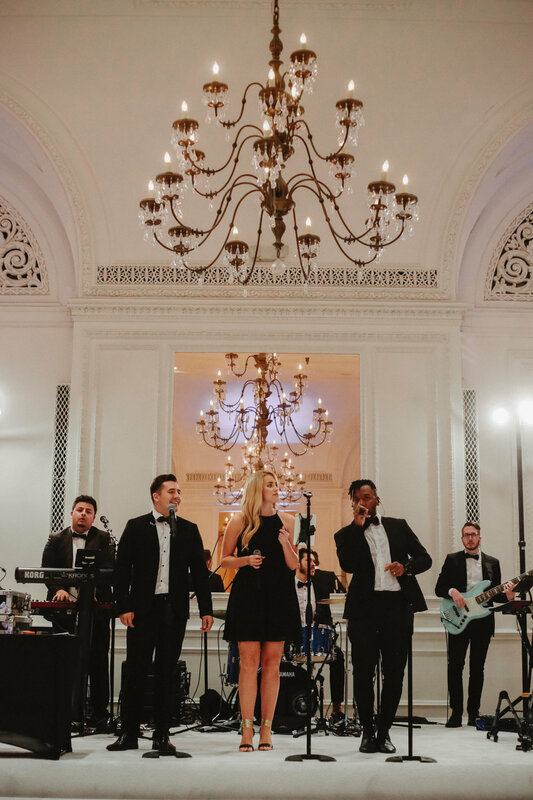 Gold Standard had a blast celebrating the newlyweds, dancing with guests and providing the music for both the cocktail hour and reception! 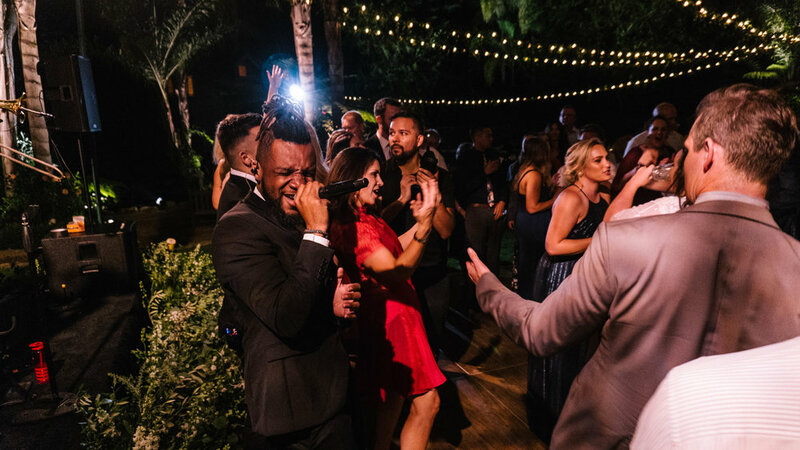 A night full of love and music! 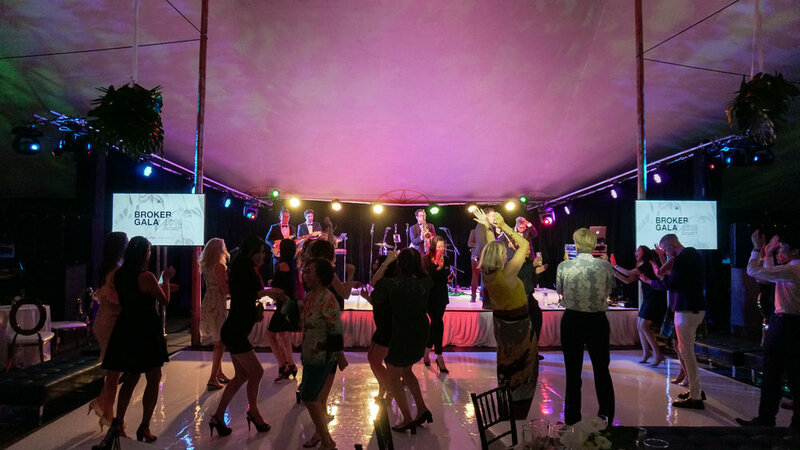 Gold Standard had a blast getting their dance on and getting down with guests at the beautiful Avalon Palm Springs. 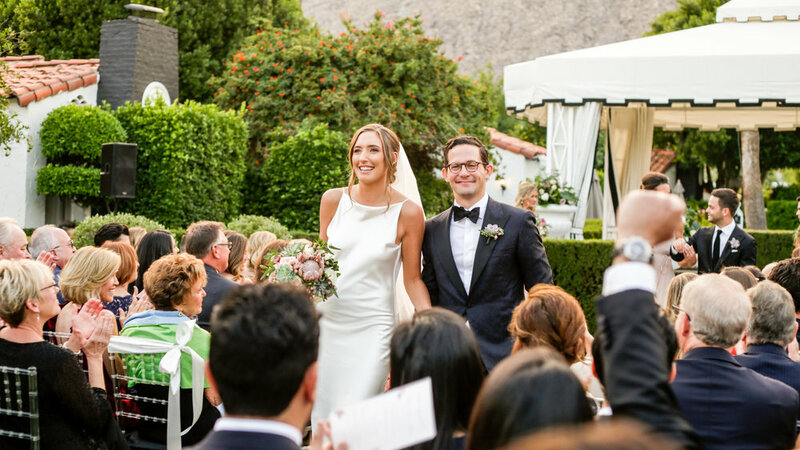 This destination wedding for our New York couple felt just like home and the Palm Springs background fit this night perfectly. 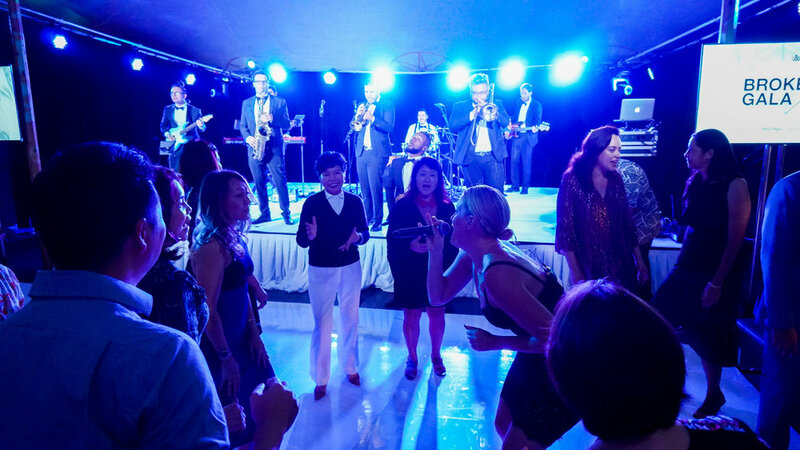 Yet another year Gold Standard got to be part of the Howard Hughes Broker Awards Gala at the wonderful Ward Village, Honolulu. 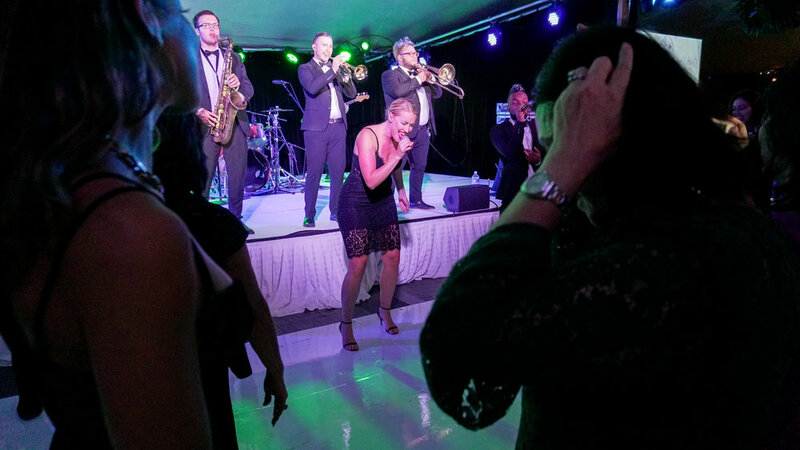 The band brought down the house with its full horn section and everyone had an amazing evening. 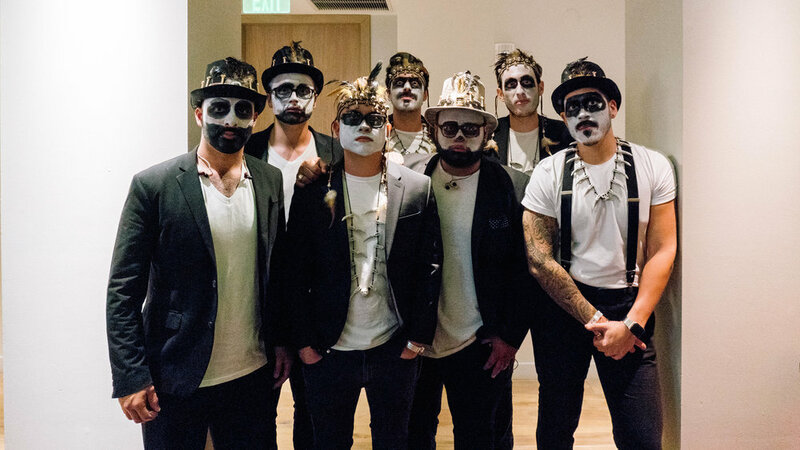 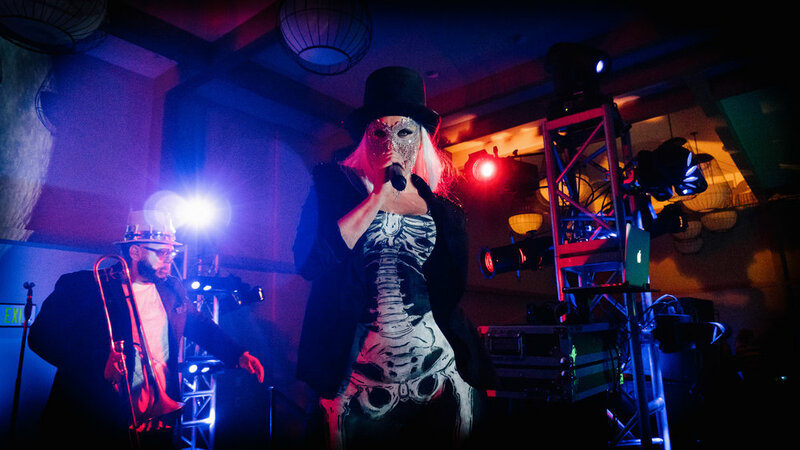 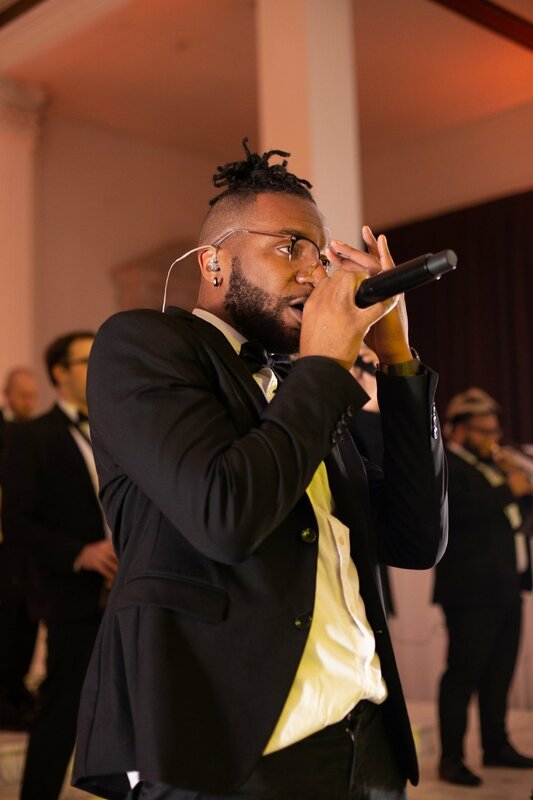 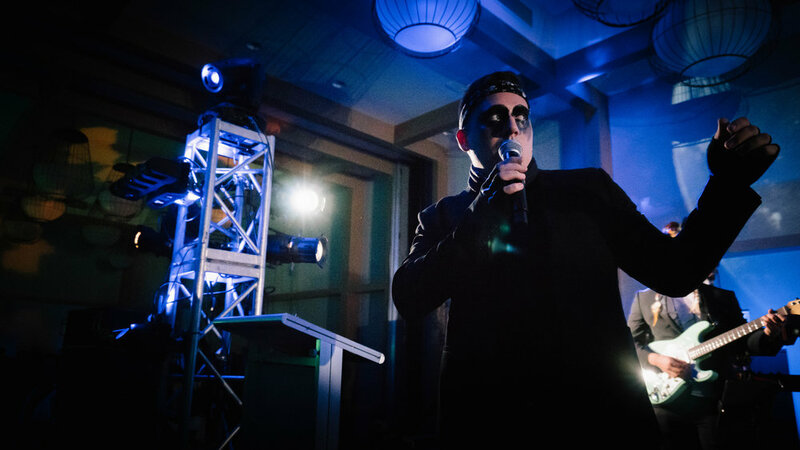 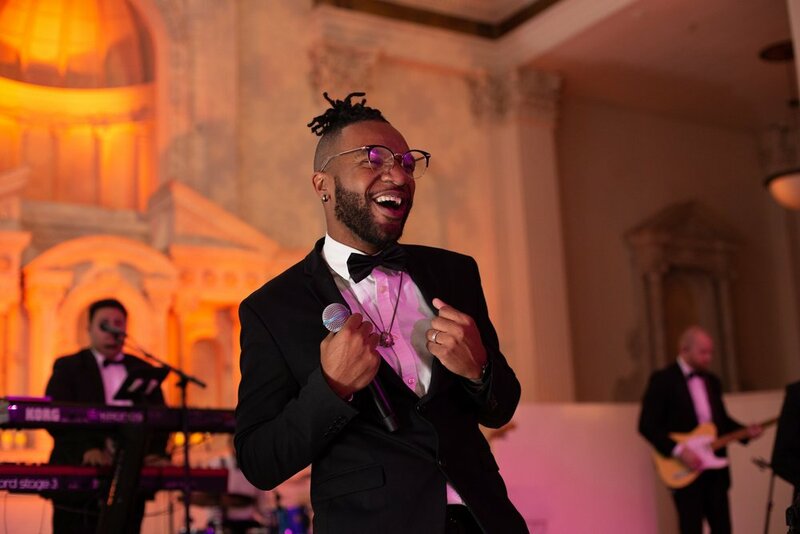 Blake Entertainment planned and designed a Garden of Evil-themed evening with Gold Standard taking the stage to provide the music in addition to dancers, performers and other incredible details that helped create an insanely lively atmosphere for a great cause! 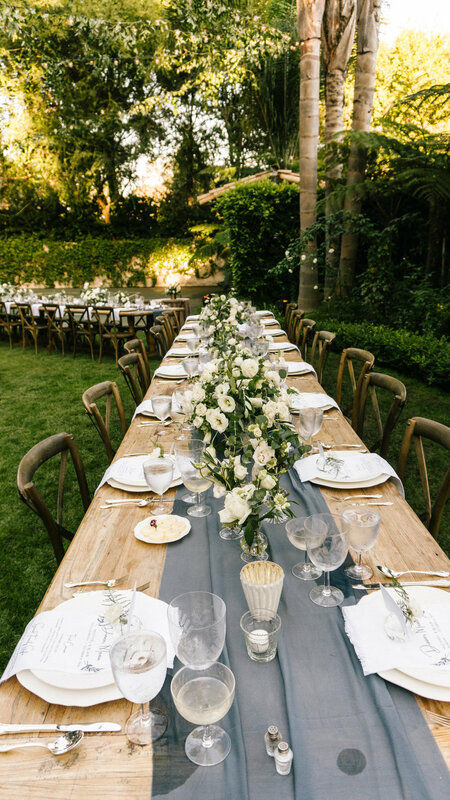 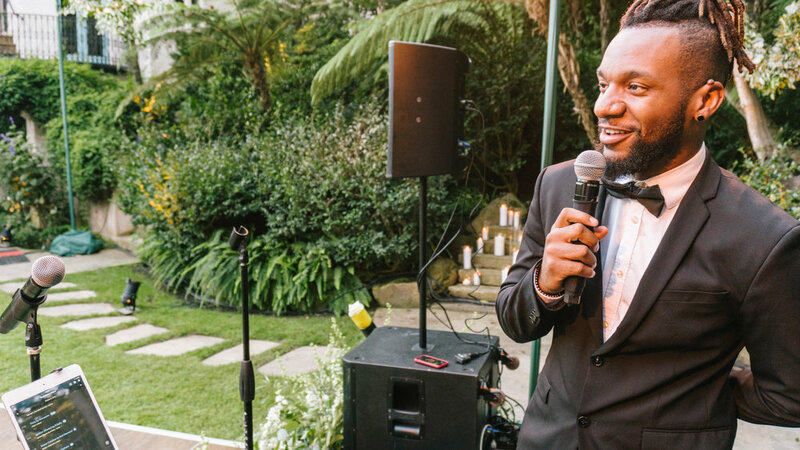 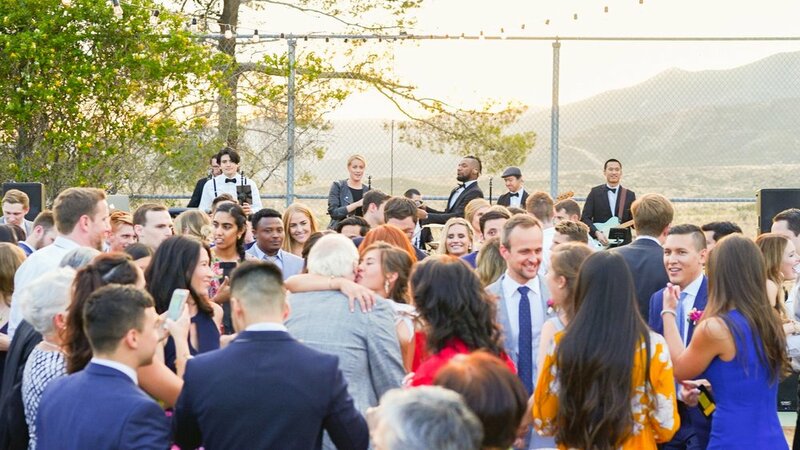 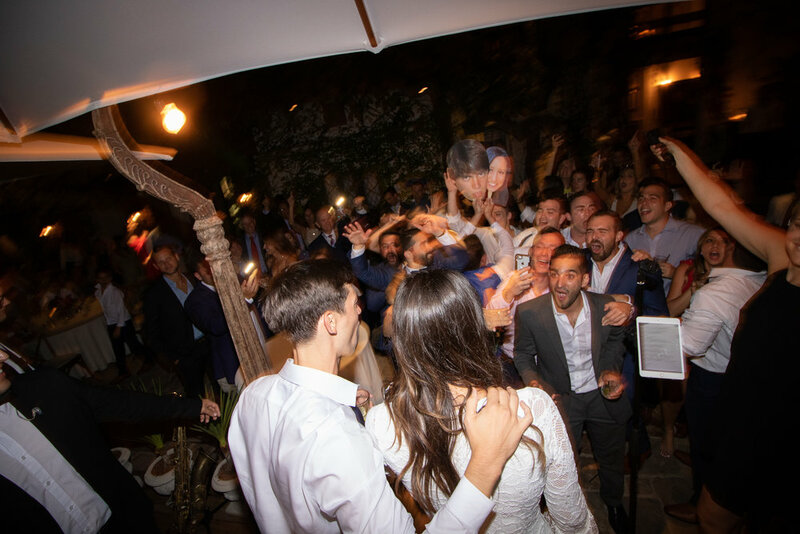 There is always something truly magical about an outdoor wedding, especially surrounded by loved ones at the beautiful Butterfly Lane in Montecito! 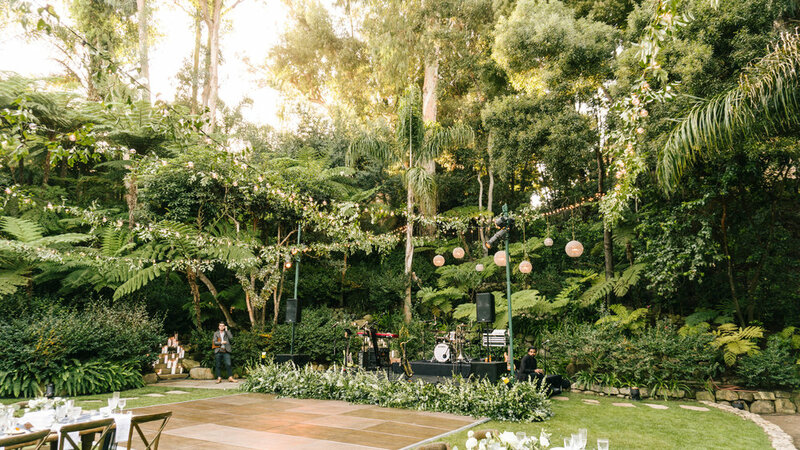 This night included a beautiful ceremony and reception covered in lush greenery with live music from Gold Standard, making it one to remember. 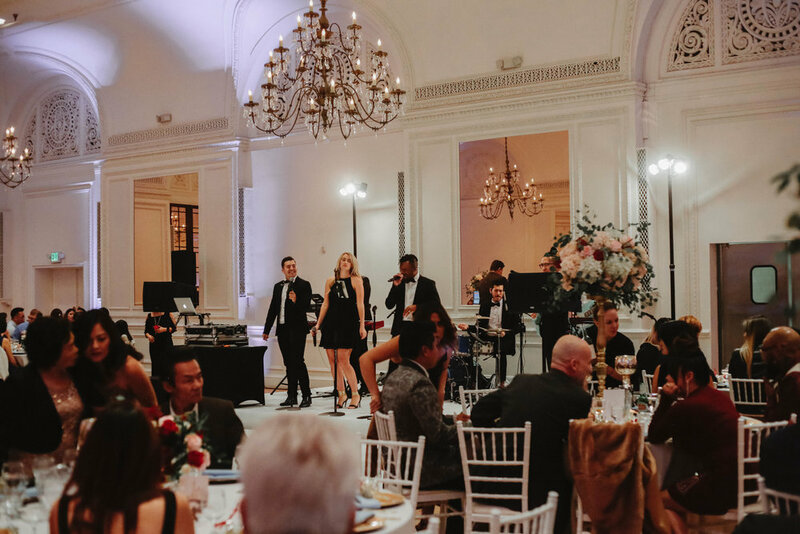 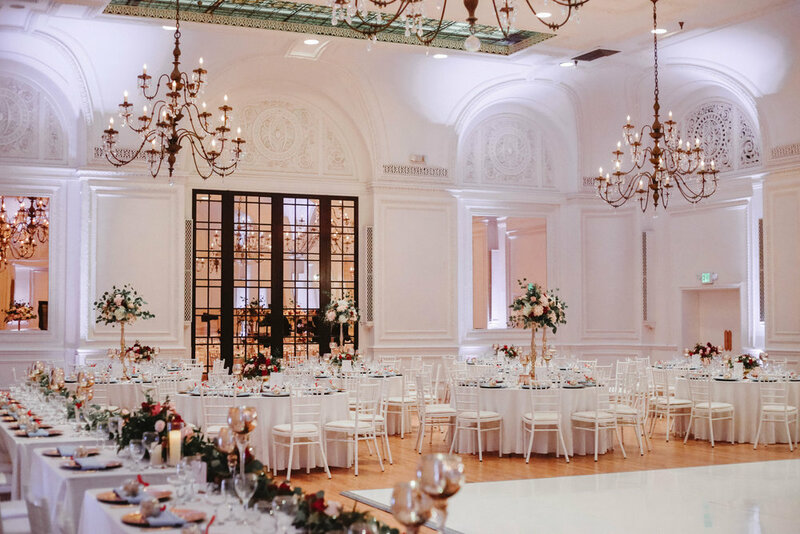 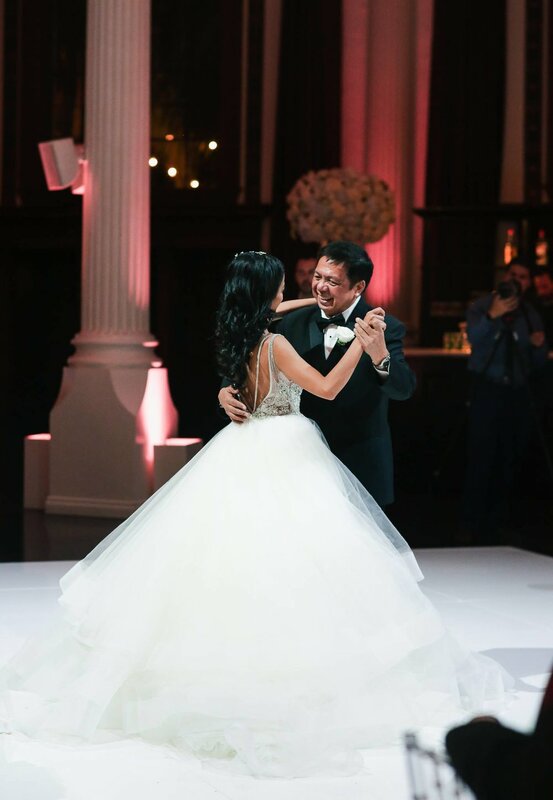 This stunning Vibiana wedding in Downtown LA was planned to perfection by our friends at Details Details, and Gold Standard sang and danced their way through the entire celebration! 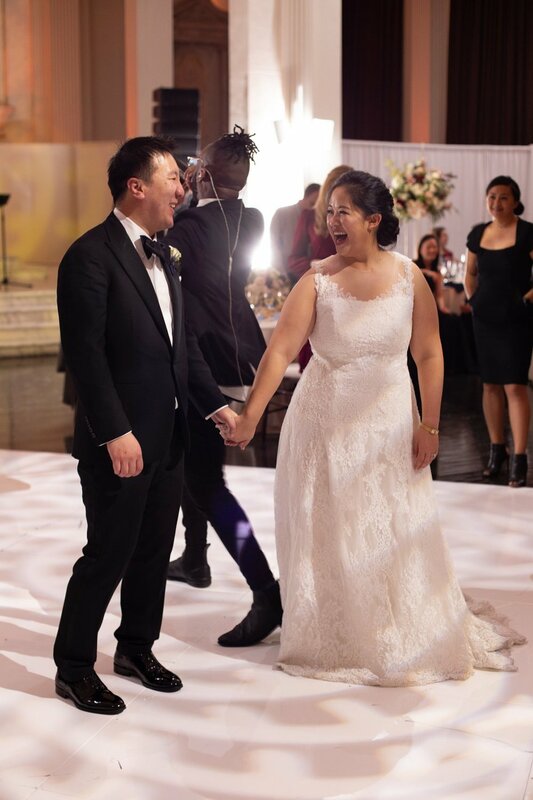 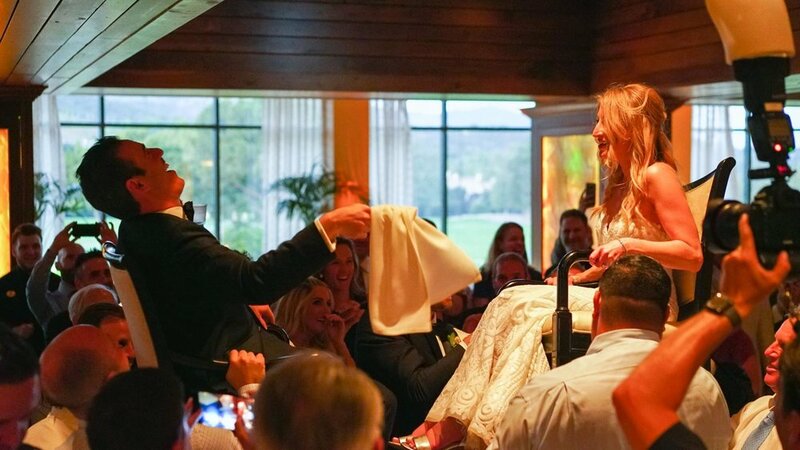 Cheers to the newlyweds, Gold Standard loved being a part of your wedding day! 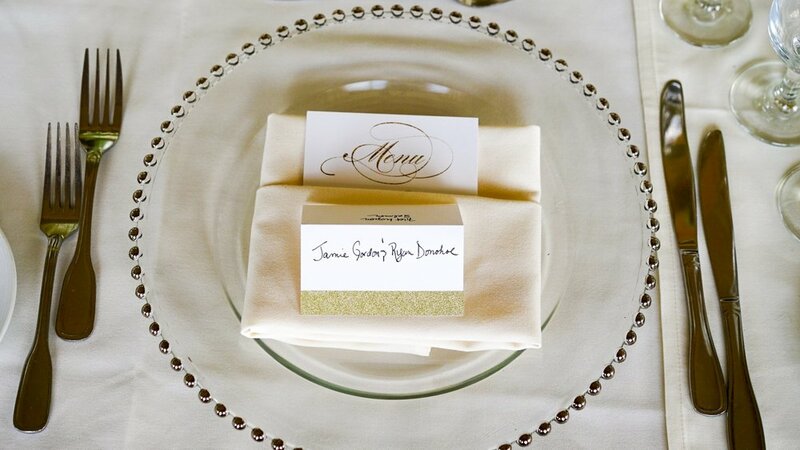 Venue: Skirball Cultural Center | Planner: Jessica Foster Event Planning | Photographer: Alicia Mink | Florals: The Foxglove Studio | Stationery & Printed Products: Simply Stated Stationery & Preferred Projects | Lighting: The Lighter Side | Band: Downbeat LA (Gold Standard) | Desserts: Sheila Mae | Rentals: Party Pleasers Event Rental Co.
Book the best in live entertainment for your wedding or special event! 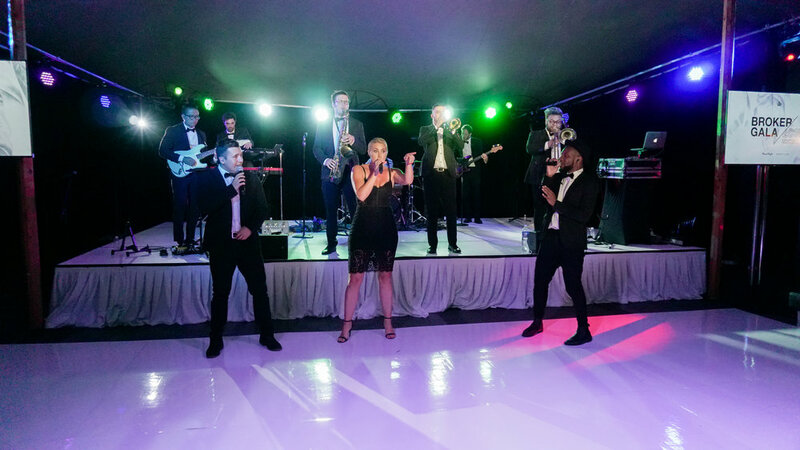 Get your free quote here, and see more from dance band Gold Standard by visiting their band page here. 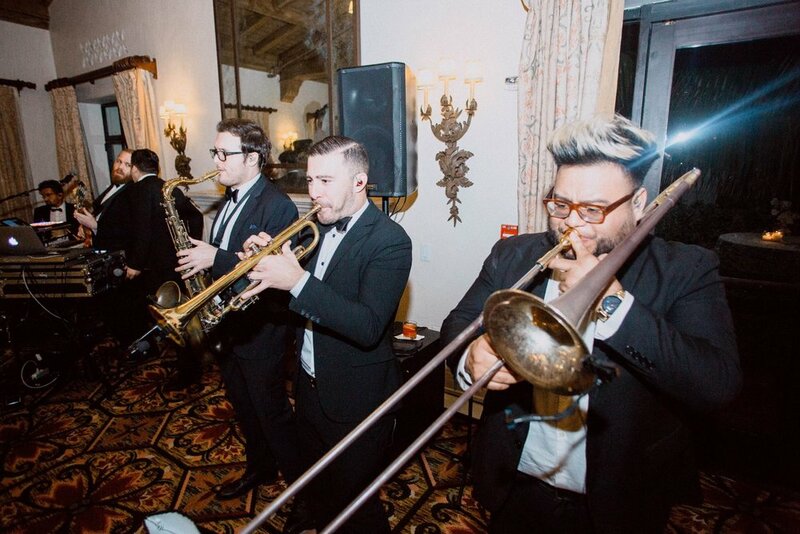 Gold Standard provided the live soundtrack for Amanda and David's wedding at the beautiful North Ranch Country Club! 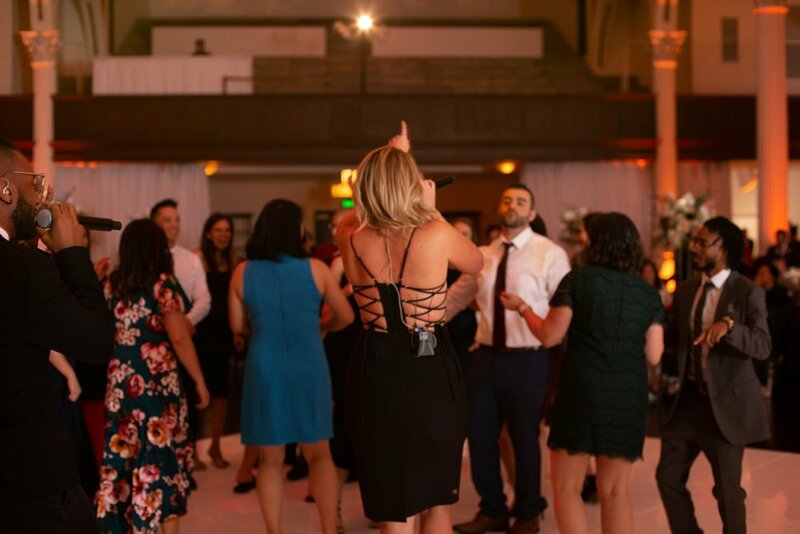 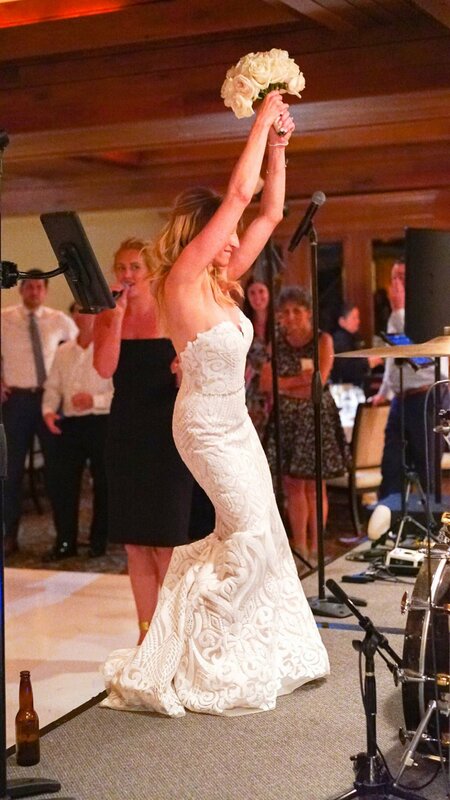 From the beautiful guitar-accompanied cocktail hour, to a lively horah and Whitney Houston-packed dance set (per the Bride's request! 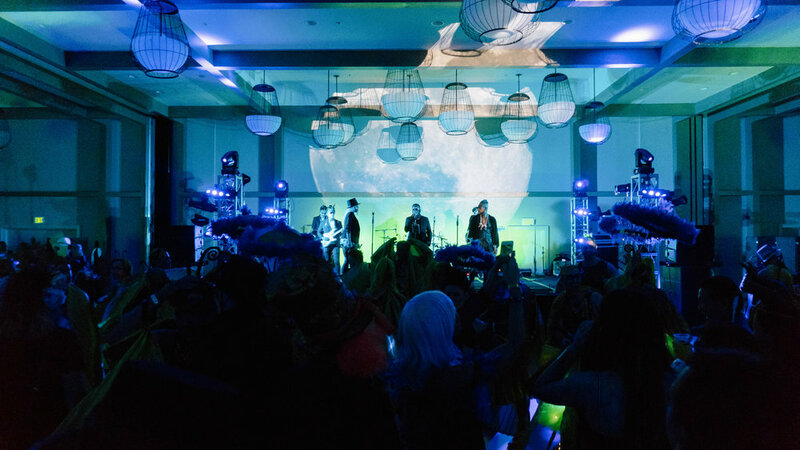 ), it was an epic party! 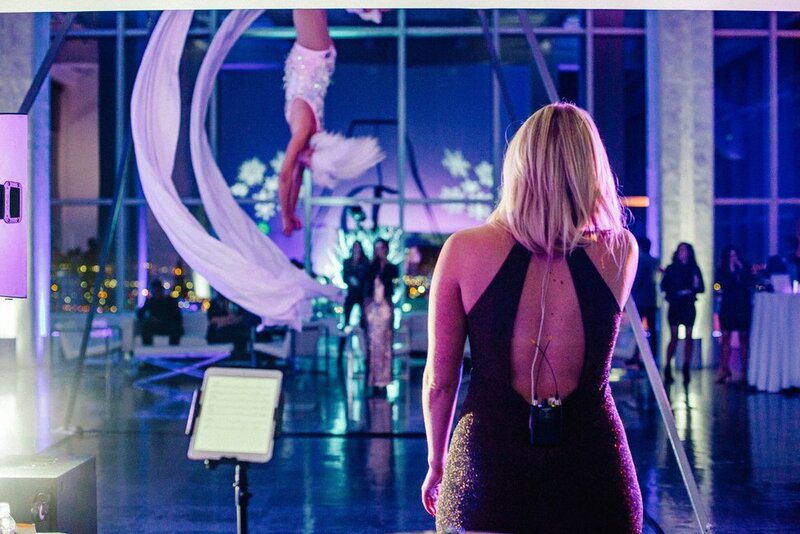 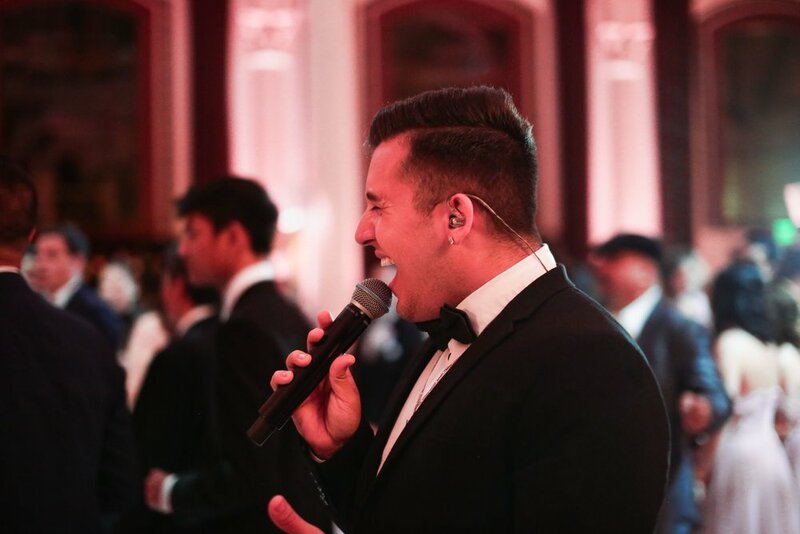 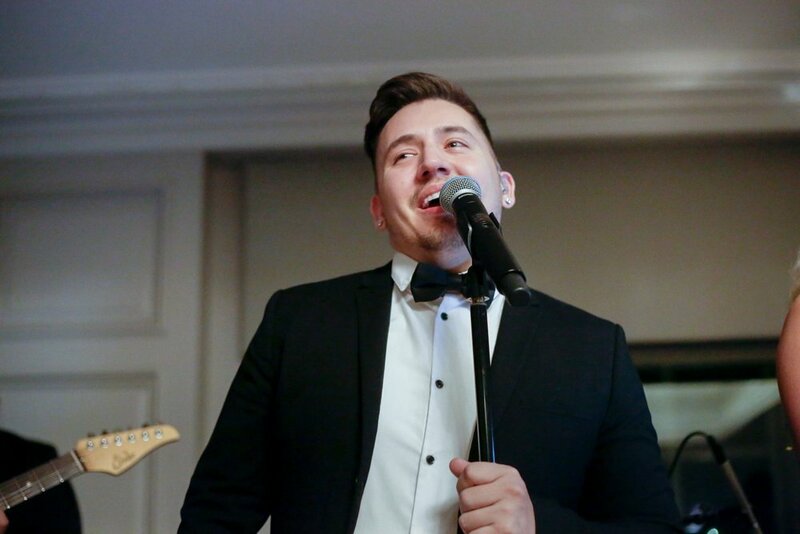 Interested in live entertainment for your corporate event? 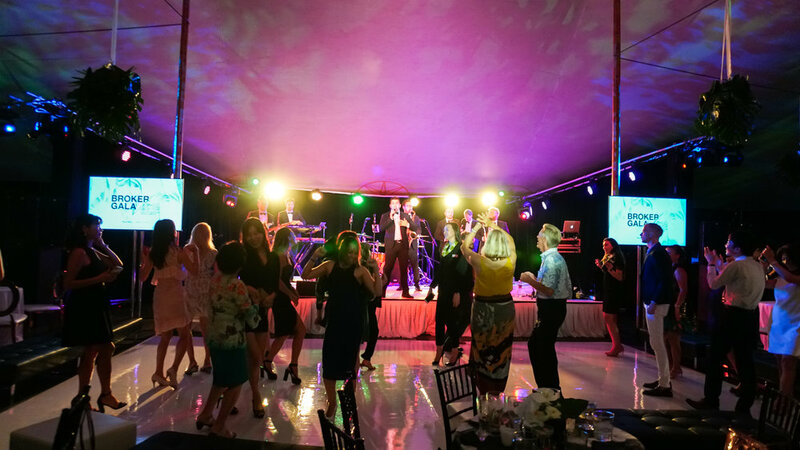 Get your free quote here! 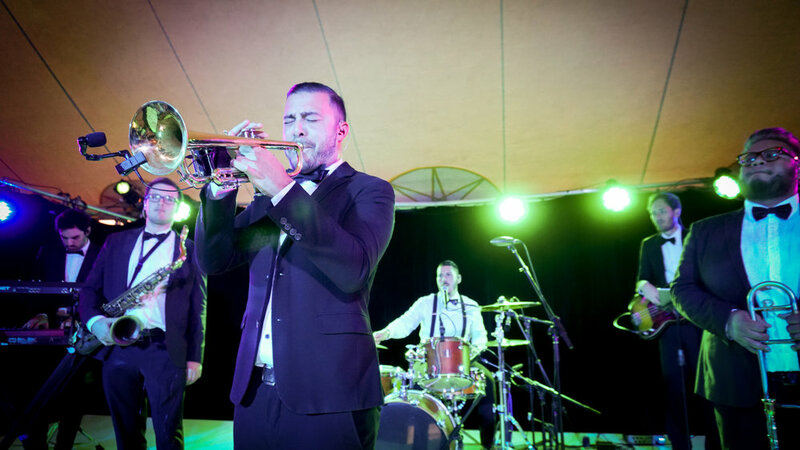 Gold Standard provided the soundtrack for this beautiful wedding held on a private estate in Santa Clarita, CA. 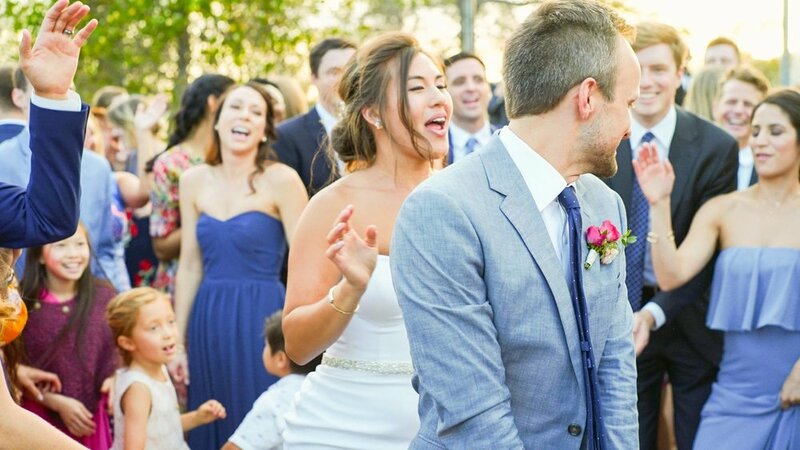 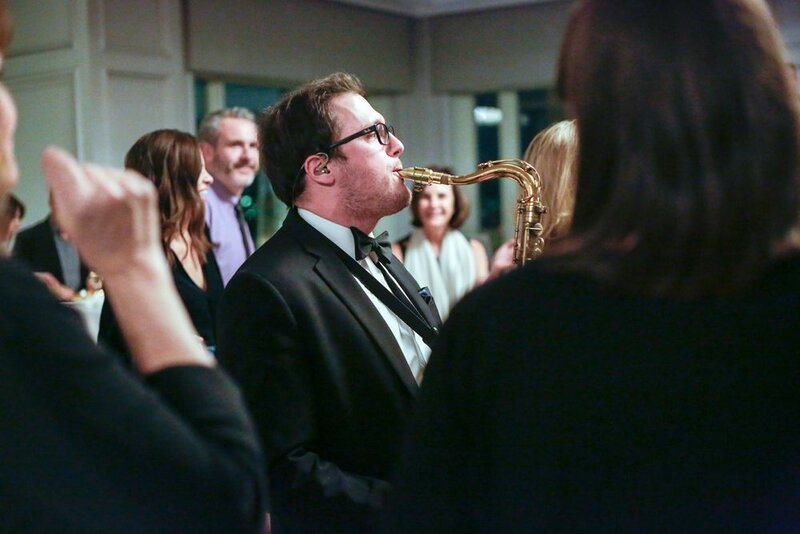 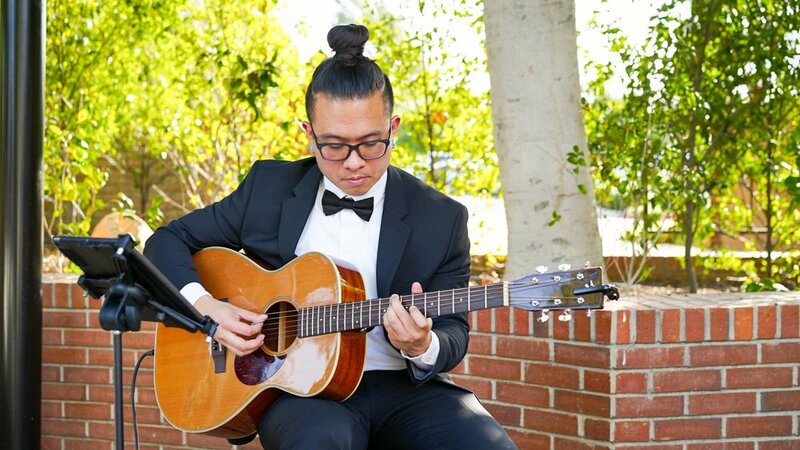 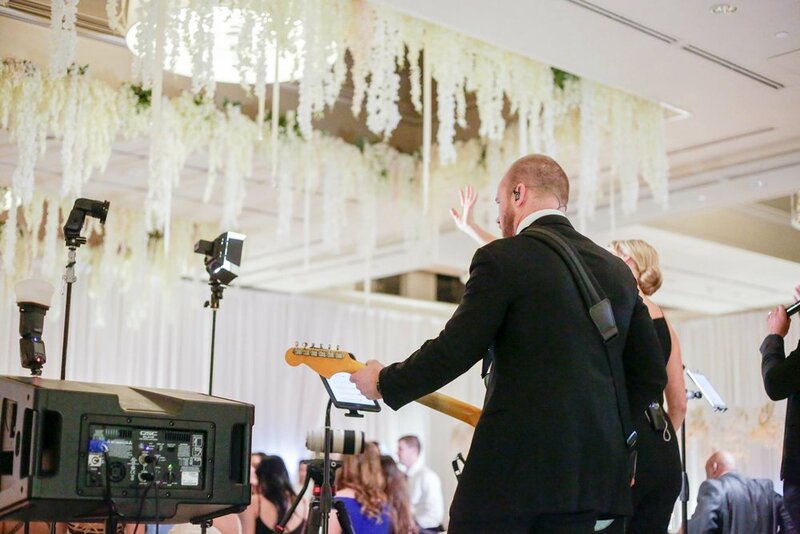 Find out how Downbeat LA can provide the soundtrack for your wedding or special event. 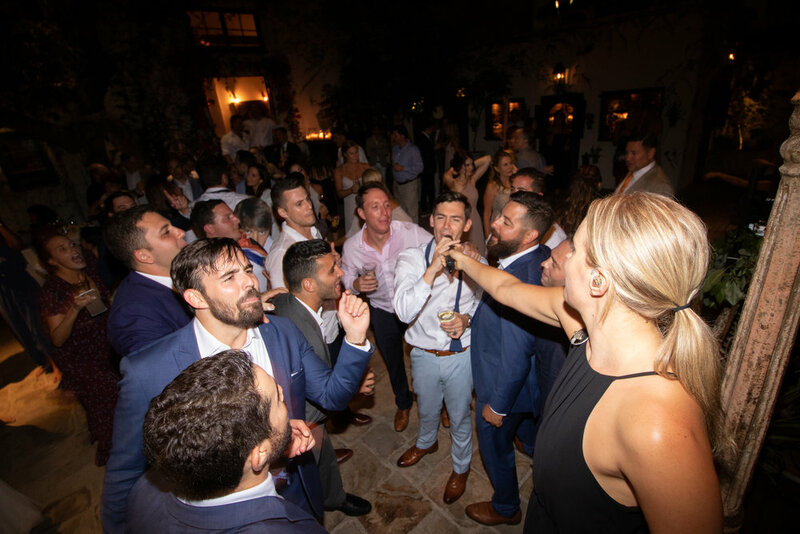 Click here to learn more receive your free quote, we can't wait to work together!